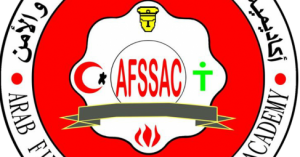 Arab Fire Safety & Security academy introduces Fire Instructor II ***** program. That is an advanced program in fire-fighting . Training centers managers and training programs designers in the fields of fire-fighting , safety and environment protection. Instructors working in training of fire-fighting, safety and environment protection programs . Preparing specialized instructors in the traineeship of fire-fighting and fire control using the latest fire-fighting technology . Program duration: 10 days .